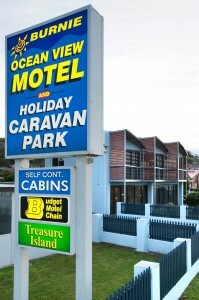 The Burnie Ocean View Motel has comfortable one and two bedroom units. Perfect for a family holiday at the beach. Some units have ocean views of Bass Strait and Cooee beach. The Cooee beach is just across the road not far for the big kids or little kids to go and build sand castles or swim in the surf. All units have Digital TV’s, DVD players, fully equipped kitchens, ensuites and they have reverse cycle air-conditioning. Burnie Ocean View Motel offers the choice of 2 styles of studio units.